Templeton Country Oaks Four Bedroom Home! This cute single level 4bd/2ba home features over 1,500 sq ft of living space and great curb appeal! 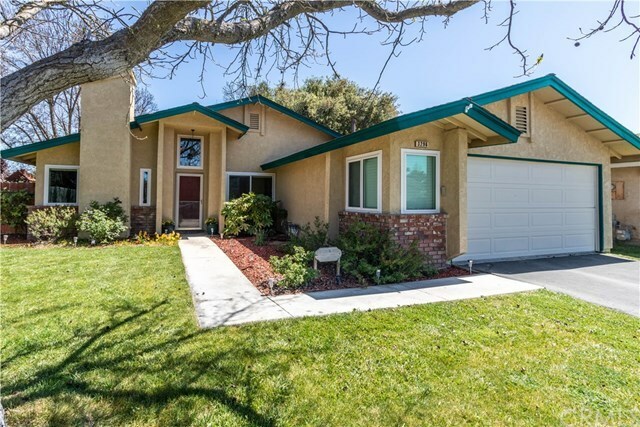 This home has dual pane windows, a newer roof, recently installed carpet in the bedrooms, and a great backyard! The living room is open with new carpet, vaulted ceilings, fireplace, and natural light. The kitchen has a breakfast nook area, stainless steel appliances and a breakfast bar that opens up to the dining area. There is a master suite plus 3 guest bedrooms and laundry area with solar tube for added light. The backyard has nice shade trees, concrete patio, play area, and plenty of room for summer BBQ's. This is all located in a small community with it's own park, plus the benefit of being in the Templeton School District!